In the last several years, portable apps have really gained huge popularity among Windows users. As the name suggests, the concept of portable apps enables us to use our favorite software without having to install it first. 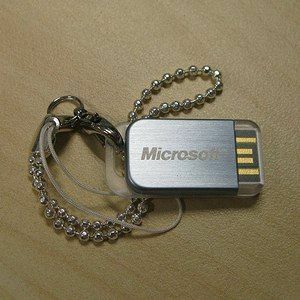 It means that we can carry the applications on our USB drive or store them somewhere in the cloud and use them from any compatible computer. But if you have a huge collection of portable applications on your thumb drive, you will know that keeping the apps and actually using them are two different things. Going back and forth from/to the portable app folder to open the apps could end up becoming annoying over time. Therefore we need the help of a portable application launcher, and CodySafe is one of the most recommended names. One of the biggest problems of portable applications is their absence from the local hard disk and Start Menu. So the only way to open them is by navigating Windows Explorer to the app’s location and selecting the items manually. That’s why the main function of most portable application managers is an application launcher. CodySafe is no different. If you want to, you can install the app in the hard drive and use it as an application launcher. But the app is more than just a launcher. CodySafe also has other features specifically designed to run from a thumb drive to help us manage portable apps. To benefit from the features, be sure to choose your portable drive as the destination during installation. After installation, the app will reside in the system tray. Clicking on the tray icon will open CodySafe’s main window. 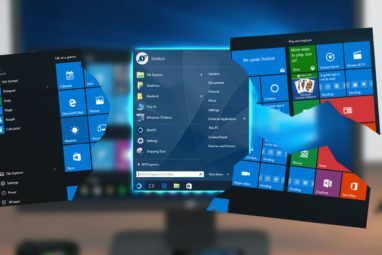 The interface looks similar to Windows’ own Start Menu with quick access to Documents, Pictures, Music, Video, Windows Explorer and Options. When you first use it, the Portable Applications pane will still be empty. You can download portable apps and add them to your collection by clicking the white blank pane. You will be taken to Codyssey’s download page where you can search and download a number of portable apps. You can find more portable apps by looking at our previous article 100 Portable Apps for your USB Stick (for Mac and Win) 100 Portable Apps for Your USB Stick for Windows and macOS 100 Portable Apps for Your USB Stick for Windows and macOS Portable apps let you take your favorite software anywhere via a flash drive or cloud storage. Here are 100 of them to cover your every need, from games to image editors. 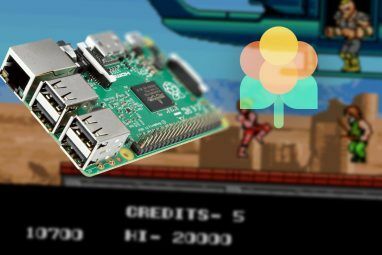 Read More , or you can also create your own with PAC How To Easily Create Your Own Portable Apps How To Easily Create Your Own Portable Apps Read More . If you click on “Options” in the main window, the application will display its Control Panel. This is the place where you can access and customize CodySafe’s features. One of the cool features bundled with CodySafe is the “Drive Doctor“. This tool will help you scan your disk, prevent virus infections (with ViruSense), and fix disk errors. You can also automate the scanning process if you want to. Another interesting feature is “Find-If-Lost“. CodySafe will help you create a text file with your contact details inside the public area of your USB drive. These details will help kind-hearted people to return the drive to you if they happen to stumble onto your lost drive. Even though creating a text file with your contact information is simple enough, only a few people have ever thought about it. Besides, creating one using CodySafe tool is faster and more fun. This is what the text looks like. If you are a keyboard person and prefer shortcut keys to the mouse, you can work with portable applications faster by defining your own “Hot Keys”. You can assign a hot key to an action by clicking on the field in the “Hot Keys” column. It’s also possible to add more actions and more hotkeys by clicking the “Add Hot Key” button. Last but not least, I think “Applications Manager” is the most important feature of all. It’s the place to add portable applications to be managed by CodyFree. Just browse to the location of the portable app that you want to add and click “Apply“. Repeat the process for other portable apps. 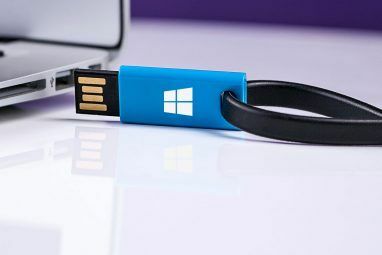 If you want your portable applications to run automatically every time you plug in your thumb drive to a computer, go to the “Autorun Management” tab and add the portable apps to the list. Advanced users can add scripts to the environment. The scripts will help you to make something happens before and/or after CodySafe runs. Have you tried CodySafe? Dow you use other applications to manage your portable apps? Share your opinions and secrets in the comments below. Explore more about: Portable App, Windows App Launcher. @jasray: You are incorrect about PortableApps.com. You can add any portable application to the launcher by simply dragging its folder into the PortableApps folder. The built-in launcher will look for exe's, notice the new application, then you can hide pieces or rename pieces in the launcher. I'm using the incredibly stable 2.0beta version, and the new version of the launcher should be out soon. I don't see an option to update installed portable apps. Not totally sure about this, but Cody Safe is the only launcher available which allows a user to use portable apps in any format. Liberkey--stuck with their programs; LupoSuite, Portable Apps, etc. same thing.